Easter Monday is one of the most popular holidays in Hungary. As part of the old traditions, the men are ’watering’ the women on Easter Monday, which represents a symbol of freshness and beauty for the rest of the year. Women are preparing hand-made colored eggs for ’watering’ men. Onboard we would like to skip the watering. Instead on Easter Sunday and Monday Szamos marzipan chocolate is awaiting our guests. 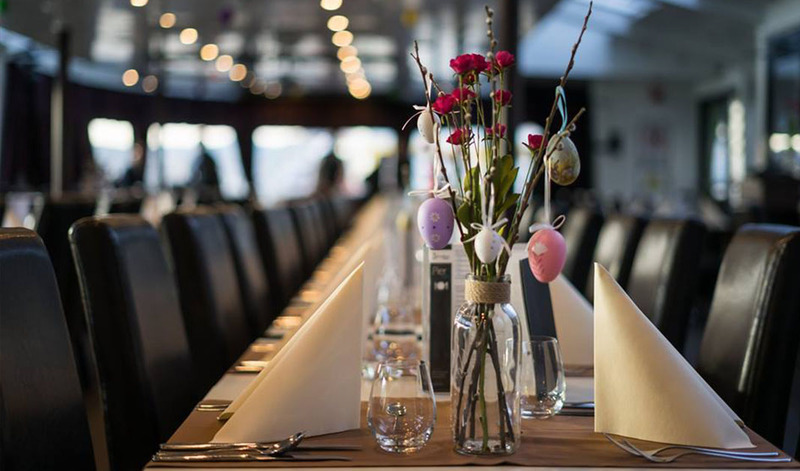 The dinner cruise through Budapest lasts 3 hours, during which our chef will prepare a 4-course menu. In the evening you can enjoy live music show and during your dinner you will have an opportunity to see the best panorama of Budapest.